"Cadet-l'Amour," said The Colonel. "What are you thinking about?" "You've just condemned me to death, Master." "We're alone. I'm weaker than a fly. You're the most ferocious assassin I know, and I've known many assassins. Why don't you strangle me?" Cadet-l'Amour clenched his fists, but he replied: "What good would it do? What can one do against the Devil?" The Colonel laughed dryly. "If I forgive you, Cadet, will you be my servant?" he asked. "I'll be better than that." "Agreed, Cadet! I need a dog, and I forgive you." 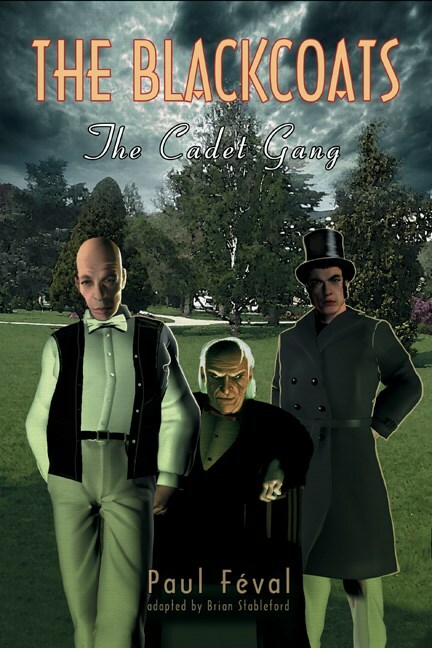 Written last in the series in 1875, before Féval was "born-again", The Cadet Gang is the apotheosis in the criminal saga of the Black Coats, a sequel to both Heart of Steel and The Companions of the Treasure. Paul Féval, the father of the modern detective novel, gave its lettres de noblesse to criminal literature by creating all the modern archetypes of crime fiction. La Bande Cadet (1874-75) by Paul Féval; Introduction, Afterword and Notes by Brian Stableford.